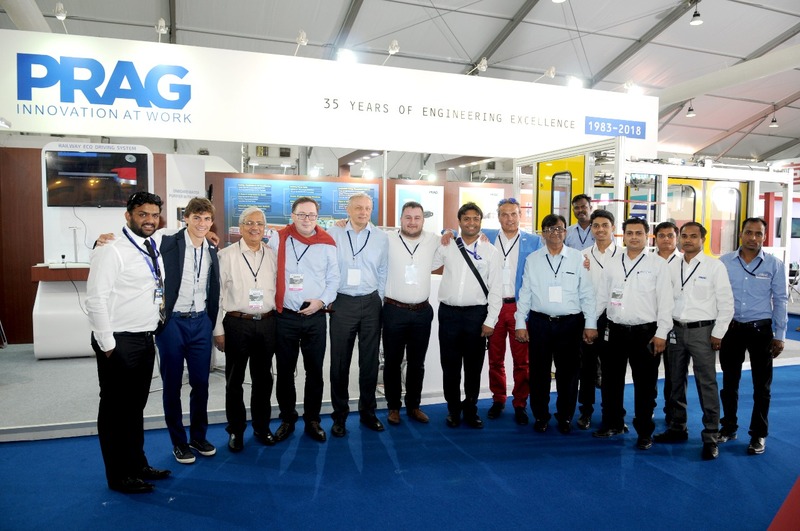 From 18th to 21st May 2018, Pars Komponenty, company established 20 years ago in Czech Replublic, together with a PRAG Group of Industries, company established 35 years ago, from Lucknow, exhibited on IRCE 2018 (India Rail Coach Expo 2018). 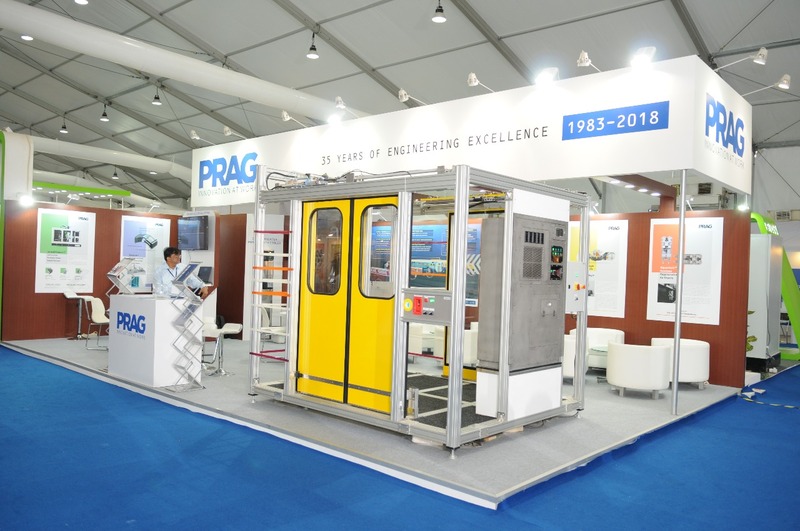 Pars Komponenty had exposed on the stand of PRAG Group, three types of door systems that have been rated as best suited to the Indian market with current needs and hand in hand with long-term safety improvements. 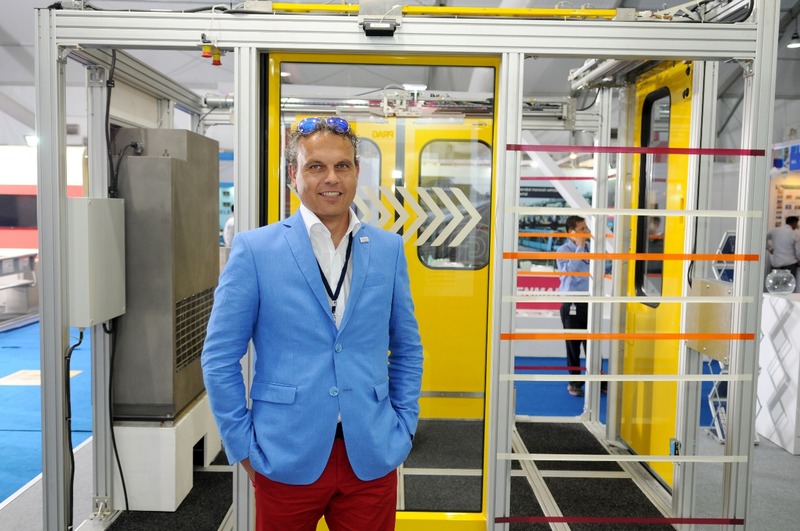 The first exposed door system was an electrical, fully automatic, interior, sliding system that Pars Komponenty already supply into a new project, proud of Indian Railways and the producer ICF (Integral Coach Factory), Train 18. Pars Komponenty together with PRAG Group of Industries is the official supplier of mentioned door system. 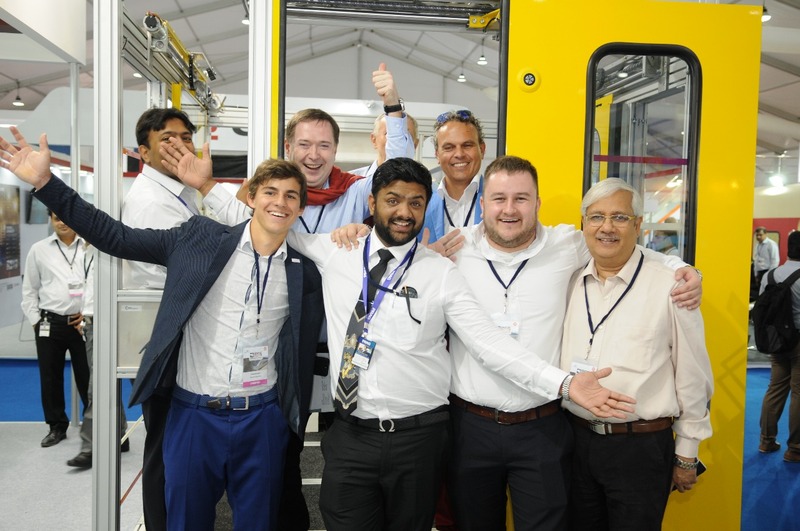 Pars Komponenty also presented additional two systems, an electrical sliding plug door system for trains and electrical sliding door system for trains and metro. The advantage of all mentioned door systems is their competitive price on India Market, low cost for maintenance and high quality. 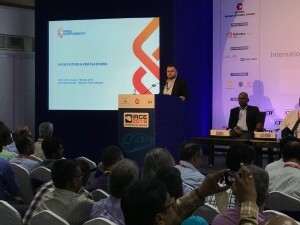 On Saturday, the last day of exhibiton, Pars Komponenty took a change for a presentation at a conference that was part of the IRCE 2018 exhibition. They presented door systems and platforms for people with reduced mobility, after the presentation, visitors asked in an open forum for questions. 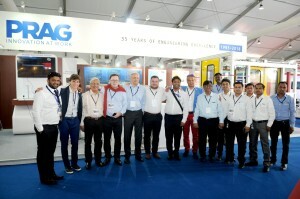 “We rate the exhibition very positively and as a huge asset for the company. We had the opportunity to discuss with people with professionals in the field, but also with the passengers who came to see. Each such visit helps us to understand the Indian market, its exact needs and implement their needs to our products. We feel strong responsibility and honor to be part of new interesting projects in India.” commented Mr. Ladislav Mazanec, managing director, who was present along on IRCE 2018 with the Pars Komponenty business team throughout the exhibition. By the occassion of exhibition, Pars Komponenty and PRAG Group celebrated one year of successful cooperation. We are a visible part of your safe journey.